On the outside, you'd never guess that Sofia Vergara has dealt with serious health issues. The "Modern Family" star joined her doctors in Miami to discuss her experience with hypothyroidism and how she keeps it under control. At 28-years-old, the world was Sofia's oyster. Little did she know that a serious diagnosis was about to change her life. The Colombian bombshell visited Miami last week in support of the "Follow the Script Campaign" alongside her two doctors, Dr. Jordan Geller and Dr. Agustin Andrade. During our chat she recalled what it was like finding out she had cancer. "Three out of four of my siblings have diabetes," she explained. "So my doctor (Andrade) told me I must be a special case because I didn't have it. He asked to check me and I didn't want to because I felt like I was fine. All he did was touch me on the neck and he found a lump. You have something, so you'll have to get a biopsy. And from there, it was like this little nightmare began for me...learning that I had thyroid cancer. I had no symptoms. I was young and otherwise healthy. I never really thought I had anything wrong. But I trusted my doctor and agreed that I would get my thyroid removed. After the removal, I was diagnosed with hypothyroid." Dr. Andrade recommended Sofia start using the pill Synthroid. It serves as a thyroid replacement treatment, and will have to be taken for the rest of her life. 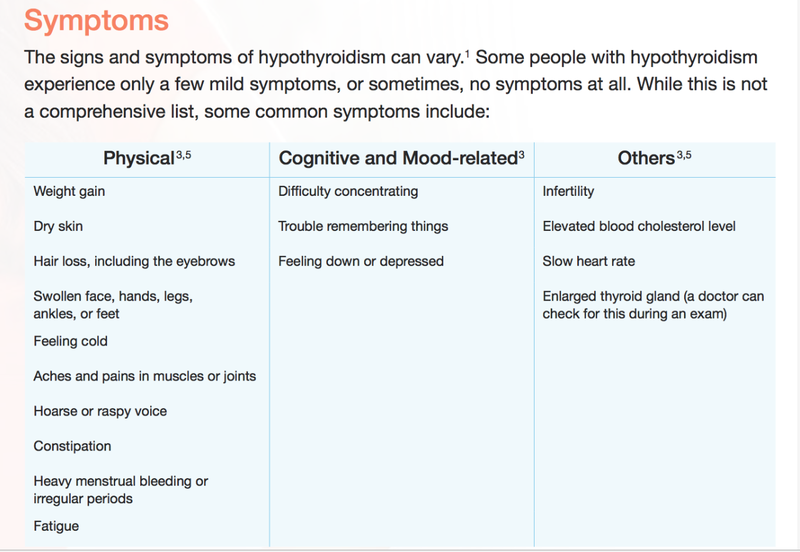 Thanks to Synthroid maker AbbVie, we have a list of symptoms you should look out for. If you have any of these, get checked out by your doctor as soon as possible.